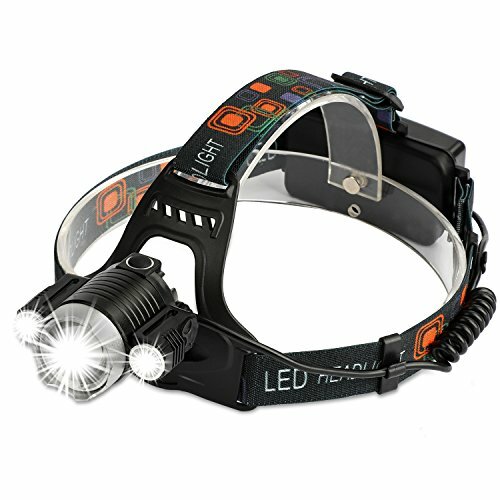 1.Super Bright Headlamp , waterproof, adjustable, Handsfree, Zoomable. 3.Single button control switch . 4 switch modes: high output, Low output, and strobe. 1. Please remove the plastic wrap off the batteries at first time use, otherwise it can't connect well to recharge. 3. If the light become dark , Please recharge in time, Charging time don't over 6 hours. Avoid using your headlamp while charging! 4. We care about every customer, if you have any problem or suggestion, please feel free contact us , your any opinion is important and a great encouragement to us! Be hands-free and enjoy those little moments when it is so much easier and comfortable to use both your hands. DAMULY headlamp comes in a solidly built and water resistant casing; it weighs a little more than a half lb, you'll even stop noticing you are wearing it... and the best part is that the LED bulbs are attached to a pivot mount, enabling you to point your light up to 90 degrees in whichever direction you want. If you have any questions about this product by DAMULY, contact us by completing and submitting the form below. If you are looking for a specif part number, please include it with your message.